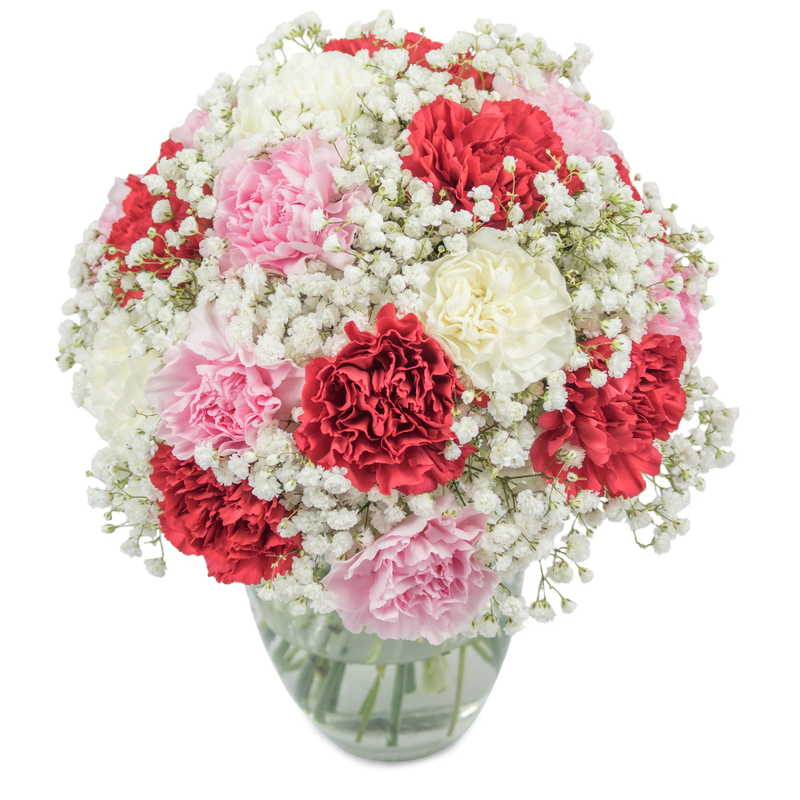 This magical bouquet is made from white, red and pink carnations and is delicately decorated with gypsophila flowers to add to its glamorous look! It is certain to bring smiles and a great festive feel to the people you love! Original size bouquet pictured. This bouquet contains 15 stems. The birthday flowers I ordered for my wife are superb. I have never ordered flowers that came looking so absolutely wonderful. 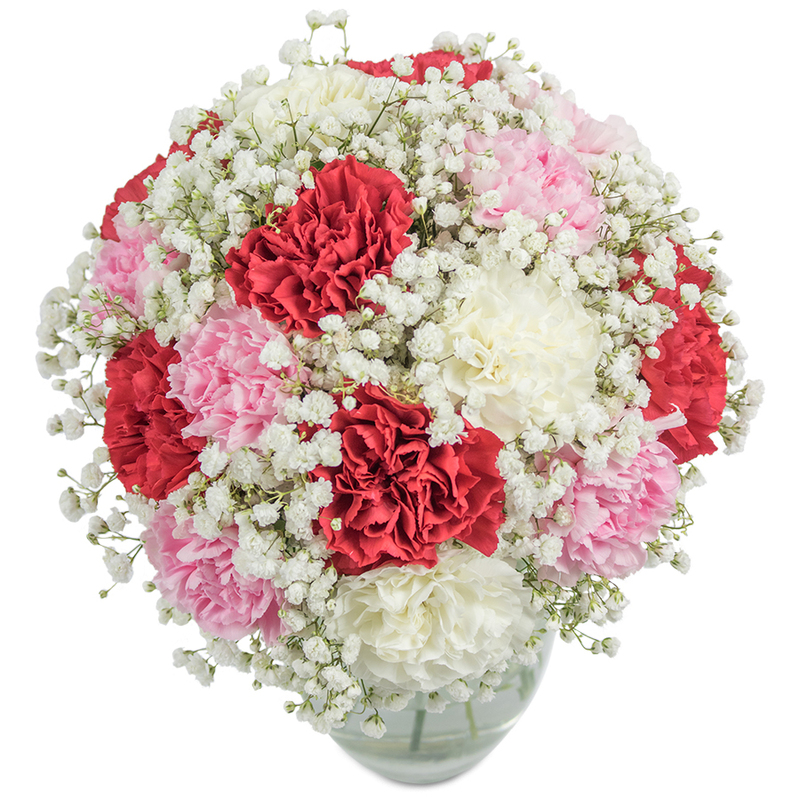 Pretty carnations. My friend in Leeds sent me a picture of the bouquet - it was arranged very beautifully. Thank you! I'm truly impressed by the professional arrangement and the flowers! The best florist in the whole world! Thank you soooo much for the amazing flowers! I couldn't have imagined more amazing bouquet for my best friend's birthday yesterday. It was so cute and by the smile on my friend's face I could tell she really liked it! Great service!!!!! Very beautiful combination of flowers. Reliable and affordable service. First of all, thank you Handy Flowers for the kind and friendly atmosphere that you provided when making the order. Second of all, the flowers were arranged perfectly. And last but not the least, delivery was excellent. Top florist in UK. 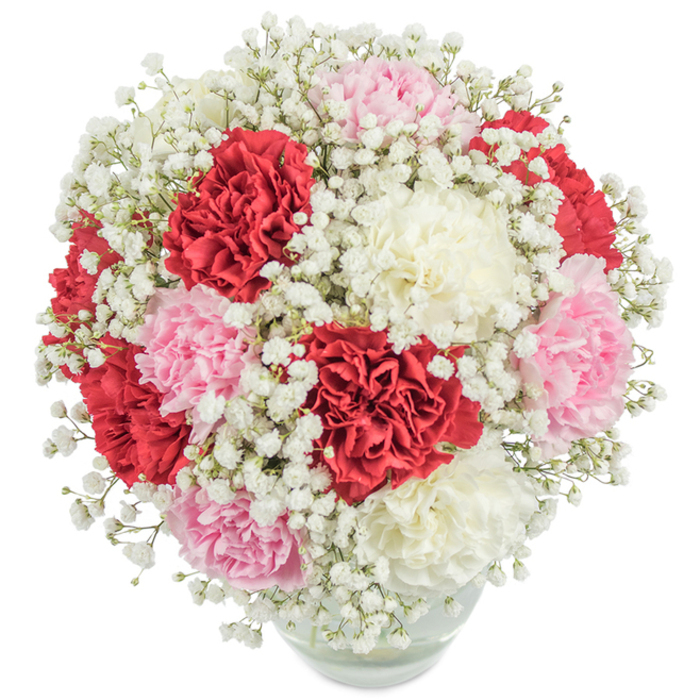 Beautiful floral arrangement! Thanks for helping me surprise my wife with a lovely bouquet! The flowers I bought online from this florist arrived exactly at the time I had ordered them for. That made the surprise I was planning for my wife a complete success, thanks! Very cute design! I just love it!